Print, cut and laminate. 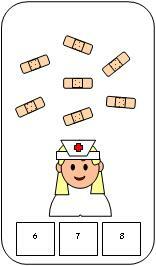 Have the children count the bandages. Then have them clip a clothespin on the corresponding number.